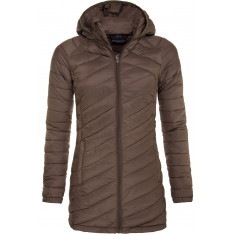 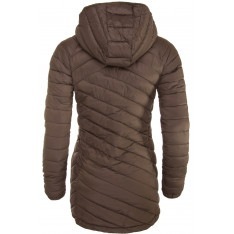 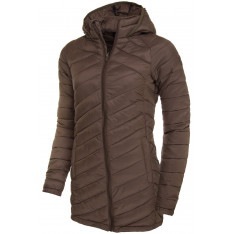 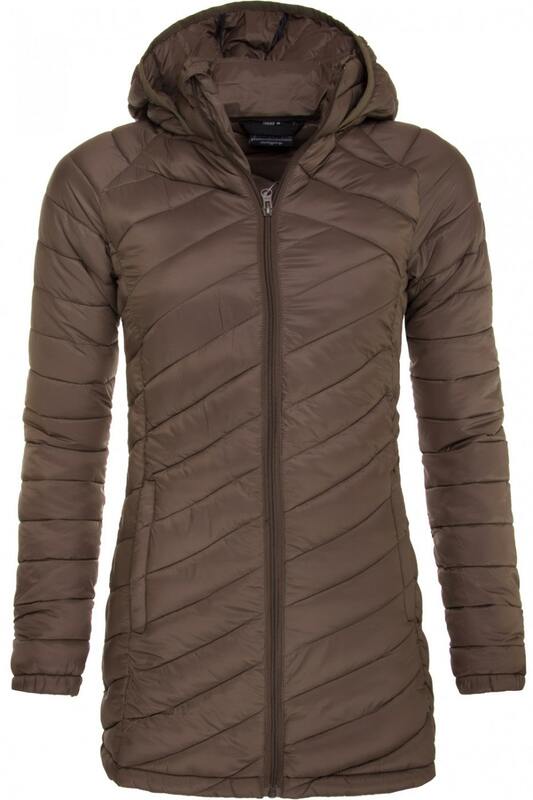 Lightweight elongated quilted jacket with feather padding. 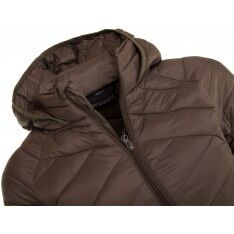 The advantage is its low volume and weight. 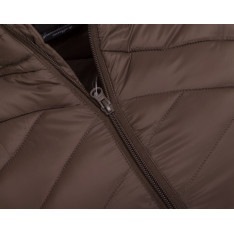 Sufficient thermal comfort will be appreciated in all sports activities and walks through the city.